Today, again for the umpteenth time, I watched The Ghost and Mrs. Muir- 1947. 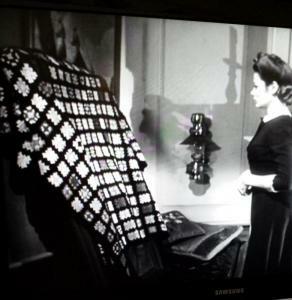 There were many crochet pieces used as props in the movie. There were a few shawls too that I covet. Such a odd love story, but, I will watch it again and again. Here are just two afghans/throws that were probably very colorful. 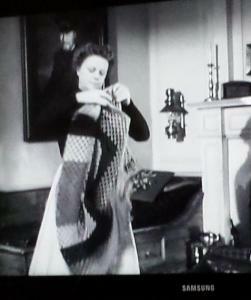 The granny throw had fringe on it but the movement while taking the photo obscured it. Sorry about the poor quality pics from my cellphone. How neat, I'll have to watch it. I've watched it a lot! Might be time to own the DVD...lol! Yes! 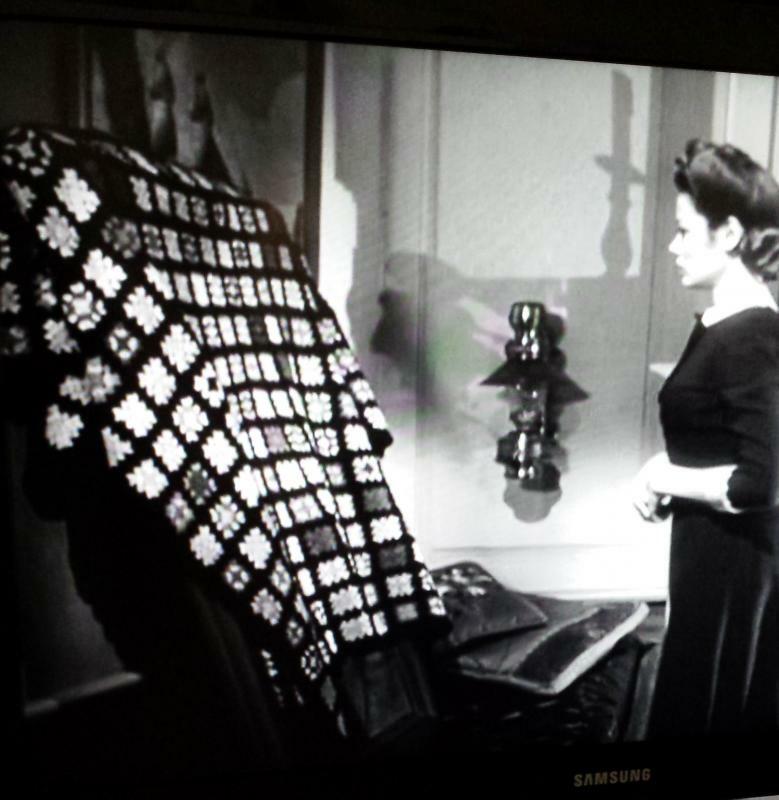 One of the shawls I saw was long, maybe in a very open stitch and one row of large Irish roses on the back. So pretty. I'm going to go back and hunt for it again! Here's a pic of the shawl I found on Pinterest. Not the greatest but you can still see the style I referred to. Love it....the crocheted pieces had always caught my eye. I can't help myself...lol!